Remember Harper, the deformed puppy rescued from a garbage bag in Central Florida and given lots of specialized help by strangers? We decided to check in and see how she’s been faring since her rescue a little more than six months ago, aaaaaaaaaaand ... good news! Harper the puppy is deformed no more. In fact, Harper is a happy, 35-pound ball of energy who loves romping through fields, playing tug-of-war and instigating mischief with the older dogs in her home. Once afflicted with a rigor-mortis-like condition dubbed "swimmer puppy syndrome" and viewed as an animal that would need to be put down — or, at the very least, require extensive and costly medical care — Harper has received an all-clear by veterinarians at the University of Florida. Project Walk Orlando is a nonprofit organization that helps people with spinal-cord injuries improve their lives and, whenever possible, walk again. The group’s founders were so inspired by Harper’s story of tenacity and recovery that they invited the dog to meet with people who have been paralyzed. When Daniel brings Harper to Project Walk Orlando’s events, she shows the video clip of Harper appearing on TODAY. Harper also has been lending a helping paw to a namesake: A little girl in Texas named Harper Howard who has a rare genetic disorder known as CDKL5. The condition is so uncommon that fewer than 200 children are known to have it worldwide. Symptoms include intense seizures, vision problems and severely delayed developmental growth; 23-month-old Harper Howard needs constant care. Her parents are faced with towering medical bills, and they’re also helping to raise money for a CDKL5 seizure research project at Children’s Hospital Boston. 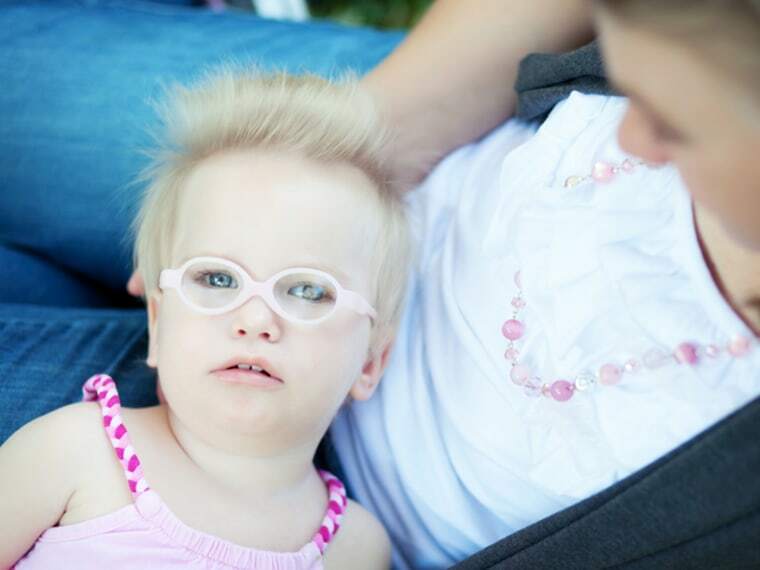 For those reasons, Daniel decided to organize an online benefit auction for Hope4Harper. People will get to bid on paintings, handmade dog collars and leashes and other items in the auction, which kicks off on April 12, the little girl’s 2-year birthday, and runs through April 15. Harper Howard’s mother, Penny Howard, said her family’s connection with Daniel and Harper the puppy has helped and inspired them tremendously. Daniel said she continues to be astonished by the media attention her doggedly determined pup Harper receives. The publicity has resulted in generous donations for Daniel’s year-old pit-bull-rescue organization, Dolly’s Foundation. It’s also landed her a deal for a future book. Daniel’s dream is to transform Dolly’s Foundation into a full-fledged facility north of Orlando that focuses on all things dog-related: spaying and neutering, education, training, boarding, agility events, trails, off-leash play, and, of course, adoptions. And can you guess who would always be allowed on the facility’s couches? You know it: Harper. TODAY.com writer Laura T. Coffey wants to play tug-of-war with Harper RIGHT NOW. Come here, girl! Come here!